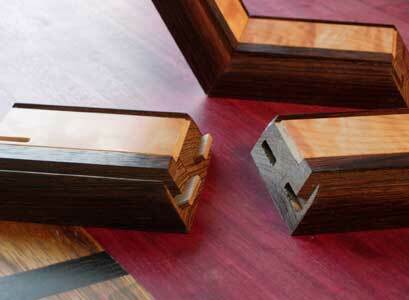 Here is what the bubinga hinges look like as the Disc Box lid is opening. The hinges conceal completely when the box is closed. 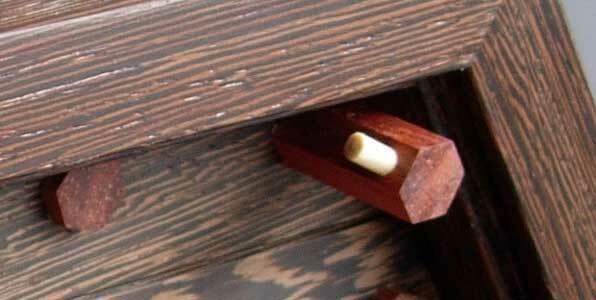 A hinge before being added to the box. I put a great deal of care into making each one. These are maple and bubinga wedges before being glued together into discs. 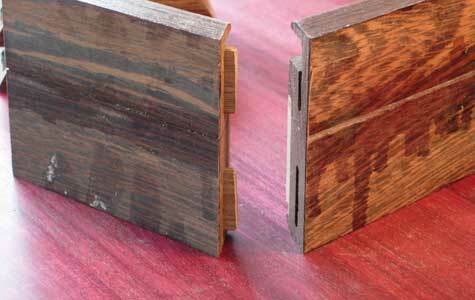 Note that one side of each wedge is veneered with a thin sheet of wenge. 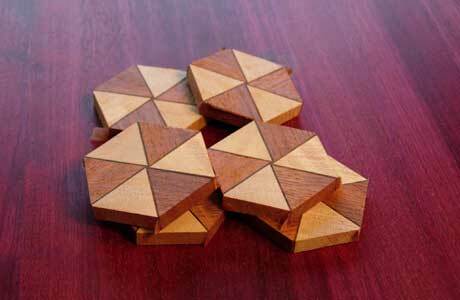 How do I glue up these six wedges into a hexagon? This would be a very difficult process without a simple trick. The secret? Circles make circles. 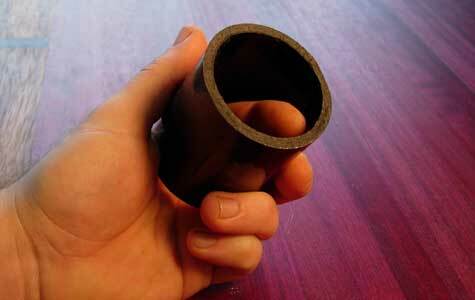 A simple piece of plastic pipe is all you need to make discs easily. 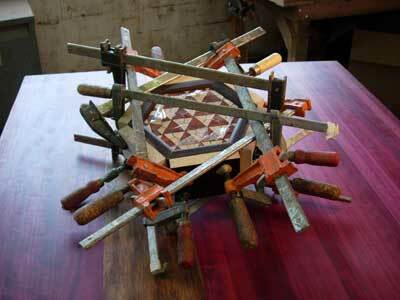 The pipe holds all six wedges in place so when you add glue they do not slip. Imagine how all the other beautiful shapes one could make using plastic pipe! 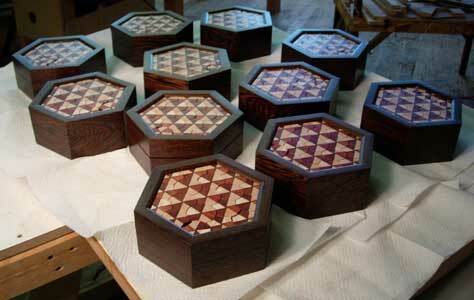 These hexagons will soon become discs that make up the lid of the Disc Box. 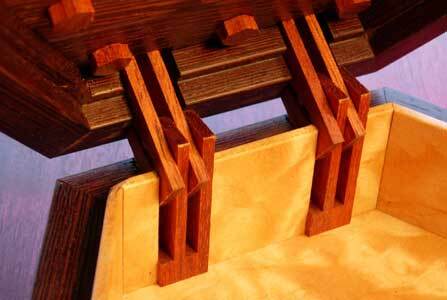 A photo showing the joinery. I cut 2 concealed splines for every miter. 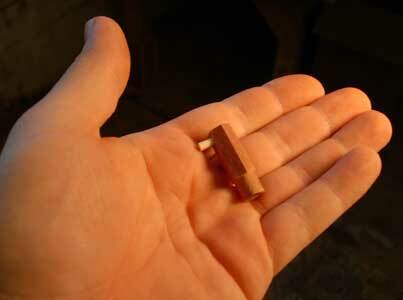 The small splines are made from walnut. Even these small splines must have sanded edges before I glue the box together. 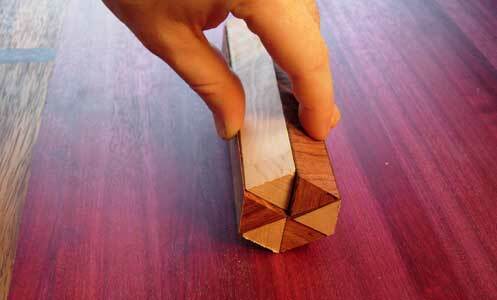 A sixty degree miter joint. 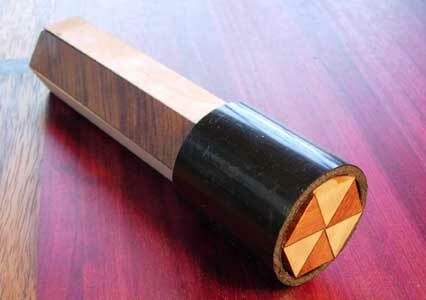 It is very difficult to cut this from wenge. Clamping all six of these miters at the same time is very difficult. 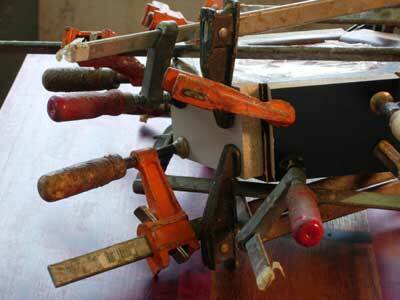 12 clamps are used and every clamp must have the same tension. Over the years I have learned to do this by feel. 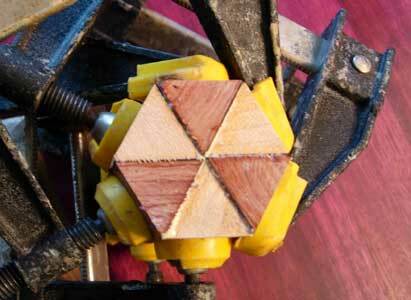 If any clamp is tightened more than another, the miters will show gaps. 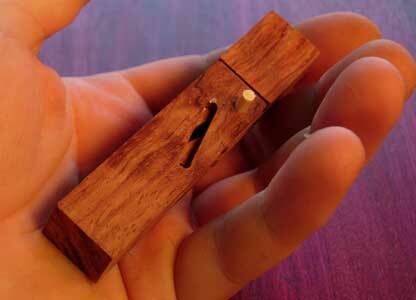 One of two small latches which will keep the box safely closed until solved.